When an industry emerges into legality after decades of operating within the depths of the black market, it’s expected that security would be a large hurdle for the industry as a whole to overcome. Enter 3 | Sixty Secure Corp. (CSE: SAFE). It is our belief that this company represents a very unique and under served niche in the cannabis sector. 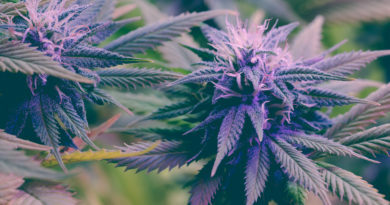 And having watched the cannabis sector closely for a considerable amount of time, this unique niche has flown somewhat under the radar. Operating since 2013 as an agency involved in risk assessment and operating security detail for high profile events, 3 | Sixty has some noteworthy experience such as the FIFA Woman’s World Cup in 2014 – 2015. This company is a legitimate security provider and has been for a number of years prior to going public in 2019. With a heavy focus on cannabis, 3 | Sixty is also offering their services in other sectors such as mining, oil & gas, Government, and others – although the real story is their focus on the cannabis sector. With an already robust network of clients in the sector, 3 | Sixty is leveraging their skill set and has been for some time. In fact the largest LP in the space, Canopy Growth Corporation (NYSE: CGC, TSX: WEED), employs their services among over 60 other clients. One item of note is that 3 | Sixty claims to be multi-national, and they do in fact operate security and transport on land, and have recently began operating air transports within Canada and Europe as well. Although they have not had any cannabis operations south of the border due to cannabis’ legal status within the US federal framework, they indicate that developing business in the US is a priority as laws change and the industry evolves. Headed up and founded by a CEO who is the real deal when it comes to asset protection, Thomas Gerstenecker is the man at the helm. Mr. Gerstenecker has been involved in the Canadian military’s Underwater Explosives Demolition Team, and he’s held a position in JTF2 (also known as the Canadian elite special forces anti-terrorism group). Gerstenecker has previously spent 15 years working with the UN, where he reached the position of Chief Security Advisor and was responsible for basic day to day tasks like negotiating safe passage agreements for foreign leaders in the Middle East, as well as a multitude of tasks that one would believe only existed in Call of Duty video games. Additionally, he was responsible for developing the integrated security plans currently in use by the United Nations around the world. 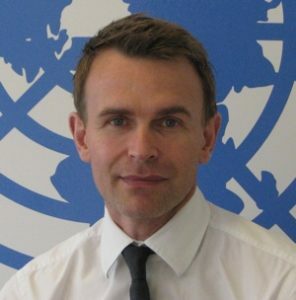 Thomas Gerstenecker is highly educated with a Masters of Science degree in the field of Risk, Crisis, and Disaster Management from Leicester University out of England. Additionally, he was decorated with the award of “Security Director of the Year” in 2011 while serving with the UN. As a result of his high level positions within both the Canadian military as well as the UN, much of Gerstenecker’s work is relatively unknown by design. By all appearances, 3 | Sixty is headed by an elite in the field. Next in line we have the president of 3 | Sixty Secure Corp – David Hyde. Mr. Hyde was appointed President of 3 | Sixty shortly before the company announced their intention to go public via their listing on the CSE. 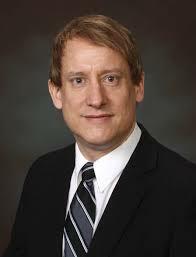 Also an individual with a storied past in the security world, David Hyde is a founding member of the security consulting firm bearing his name – David Hyde & Associates, which was acquired by Total Cannabis Security Solutions (TCSS) in July 2018. TCSS, which itself was acquired by 3 | Sixty Secure Corp prior to listing on the CSE, has been employed throughout Canada, the US, Europe and Australia which helps justify the multi-national claim that 3 | Sixty makes. 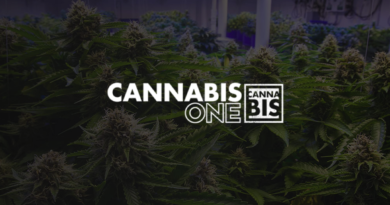 Hyde’s company had been in operation performing security consultations for more than 350 clients ranging from operational LP’s to early stage license applicants within the cannabis sector, both private and public, since 2013. He is a well known professional within the security industry, with experience serving as Head of Security for Cadilac Fairview, a large commercial real estate company operating across Canada and the US, as well as providing consultant work for many government agencies. Also possessing a Masters of Science degree in Security and Risk Management from Leicester University out of England, David Hyde is another example that inspires confidence in the company’s ability to tackle the problems they are employed to solve. David McArthur, formerly the Vice President of 3 | Sixty, has recently been promoted to the position of Chief Corporate Affairs Officer (CCAO.) He will leverage his many years of experience in the Canadian political system as Chief of Staff for 3 separate ministers within the Canadian Federal Government, as well as his service as Chief of Staff for Canada’s Conservative Party. This appointment bolsters 3 | Sixty’s hardy security experience and know-how with a network of political connections and expertise operating within the Canadian Federal Government framework. Without diving deeply into the financials of 3 | Sixty in this article, it is important that we know who is in charge of the financial workings of the company. That brings us to our next executive in focus – Carlo Rigillo, CFO for 3 | Sixty Secure Corp. Carlo Rigillo has been a CPA since 2004, receiving his Bachelors in Finance through the University of Toronto. Rigillo possesses 15 years worth of experience in finance, including 4 years as Director of Finance for Beretta Farms Inc., a consumer packaged goods company. As CFO he brings both a wealth of knowledge and experience in the financial world and inside knowledge of the consumer goods industry that is developing within the legal cannabis sector. Transport and Security contracts with Mjardin (CSE: MJAR), Canopy Growth Corp., and the Ontario Cannabis Store, among many others. With no shortage of potential clients in this emerging market, 3 | Sixty has an opportunity to capitalize on an underserved aspect of a massive and rapidly growing industry. In summary, after examining the executive team at 3 | Sixty Secure it is obvious that the team has a depth of knowledge on operating within the security industry at a high level around the world. This depth of knowledge, combined with the political connections and consumer packaged goods experience this executive team brings to the table, makes 3 | Sixty an attractive ancillary opportunity. Together they possess the tools required to dominate the security space in the newly forming legal cannabis sector. Information for this briefing was found via Sedar, The CSE, and 3 | Sixty Secure. The author has no securities or affiliations related to this organization. Not a recommendation to buy or sell. Always do additional research and consult a professional before purchasing a security. The author holds no licenses.